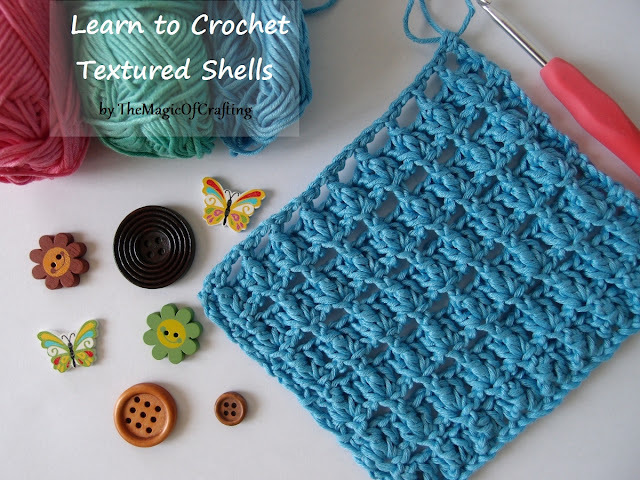 This is an easy stitch which adds texture and some lacy look to the crochet projects. It works up fast and is perfect for scarves and garments. Ch any number of multiple of 3 + 4. Row 1: Work 3dc in the 5th ch from hook, *skip 2 ch, 3 dc in the 3rd chain(shell made) *, repeat * - * till 2 ch are left. Skip one ch and dc in the last ch. Turn. Row 2: Ch 2, bpdc in the post of the second(middle) stitch from the shell on the previous row, * ch 2, bpdc in the post of the second st from the shell on the previous row *, repeat * - * till the last shell on the row, then ch 1 and sc in the last st. Turn. Row 3: Ch 3, skip the 2 ch, 3 dc in next st(shell made), * skip the ch 2, work 3 dc in next st *, repeat * - * till only 2 st are left. Skip the ch 1 from the previous row and dc in the last st. Turn. 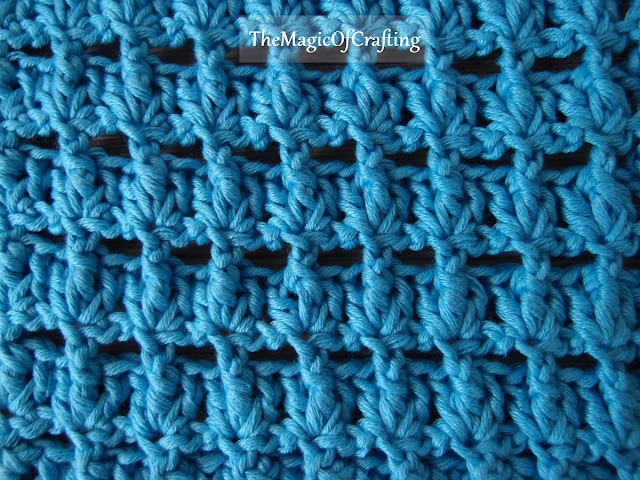 Repeat row 2 and row 3 for pattern.